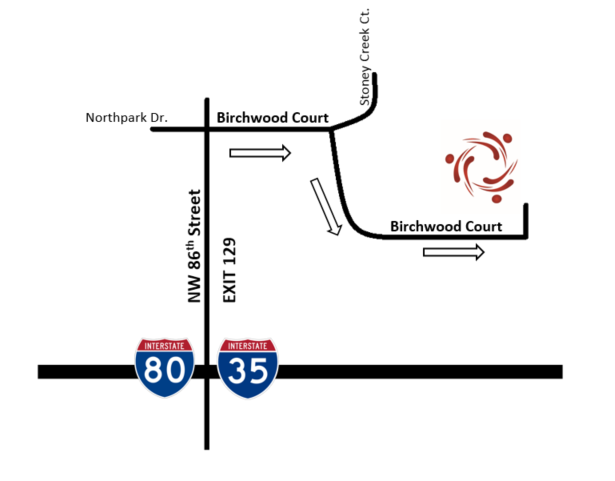 We are located Northeast of the 86th Street Exit off of I-80/35. The best around hands down. They aren't about taking your money they care about getting you better in the most efficient way. He's excellent and feel like he really cares about my health and not just my pocketbook. I've been to many chiropractors in the Des Moines area and this has been the best by far. Went in with back/neck pain with repeated headaches. Dr. Vosberg didn't just give me a quick adjustment and tell me to come back every week for the rest of my life. He worked on me for almost an hour and showed me different stretches and exercises to do so I won't have to come back. If you want a chiropractor that wants to see you once a week for the rest of your life, this is not the place for you. If you want a chiropractor that will actually make you feel better and get back to your life, give them a call. Great experience! I was having some shoulder pain, and after one session of soft tissue work it was almost 100% gone the next day. I even set a new personal record on my overhead squat two days after my appt. I have been seeing Dr. Brock Vosberg for about a year now... for a variety of different issues. Dr. Brock is very professional, knowledgeable, caring and friendly. I always feel safe in his care. He is not about the money, but really wants to help and to see that I get well. Dr. Brock gives me exercises to do on my own to help towards that goal and makes sure that I am doing them properly before he bids me a nice farewell, always asking that I please keep him updated on my condition. I went to Brock and was very impressed. I'm not a chiropractor person, but my hip was out of alignment and in pain. Brock's attitude was definitely "we should be able to fix this in 1-3 visits" and not "let's get you signed up for visits every 2 weeks until the end of time." It took two visits about 5 weeks apart (I probably could have had them closer together but I'm stubborn). I would recommend him to anyone. Having been to several chiropractors over the last 30 years, I can tell the that Dr. Brock Vosberg is light years ahead of the competition. Not only does he give you a chiropractic treatment, but also works with you to build the muscles in your body that are causing problems. I like to rock climb at a local gym and Dr. Vosberg has made sure that I’m feeling my best in order to conquer the routes. I am so thankful that I found this unique facility, and especially Dr. Vosberg.